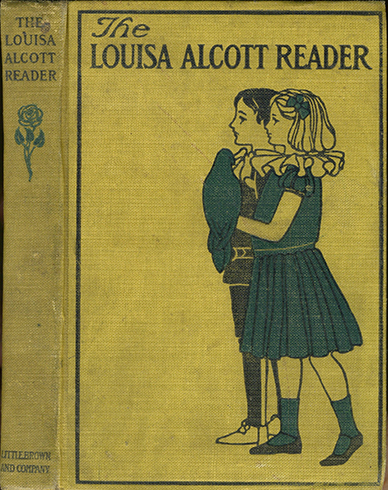 Sacker created covers for at least sixteen Alcott titles between 1899 and 1908 or so. The spine designs appear to be identical on many of the titles, but not this one. 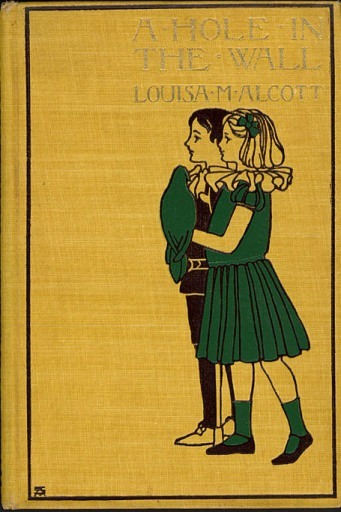 The very scarce dust jacket (also signed) is shown below. This design was later (?) 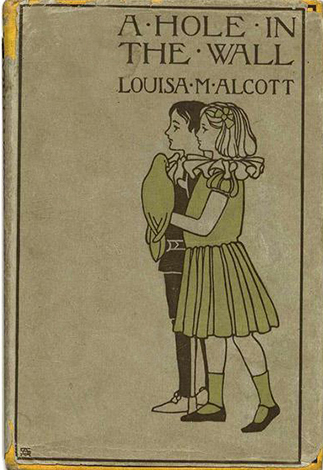 used for the cover of The Louisa Alcott Reader (1908), but without Amy's monogram, as per usual . . . .